Cats eye beads music jewelley makes lovely music themed gifts! The radiant glow of cats eye beads capture attention! The TAF Music Gifts uses these charming beads in different shapes, colours and sizes, set in handmade treble clef designs to create these distinctive music themed earrings. Cat eyes bells are attractive with contrasting Swarovski AB crystal beads. Beads combined with colourful feathers give a trendy look. All earrings from TAF Music Gifts have 925 Sterling silver hooks as standard. The prices of musical earrings vary depending on the complexity of the style of the earrings. We currently have 2 different cat eye earrings in stock for you to choose from. Click on an image below for details of the individual piece. Some interesting info: Cats Eye stones are named because of its appearance of being assembly to an eye of a cat with intriguing glow running across the surface of a stone. They are man made in different colours, sizes and shapes. Their appearance enhances any jewellery. You may also be interested in our range of music themed necklaces. All Cat eye earrings and other music themed jewellery are designed and handmade in Herefordshire UK workshop using manufactured cats eye beads. 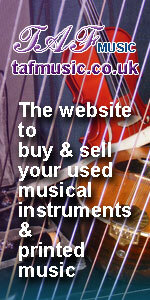 They make lovely music gifts for musicians, family and friends.